Whether hes live painting on stage with his Cloud Cult bandmates or alone in the studio, Scott Wests canvasses literally drip with color. Whether it’s live painting onstage with his Cloud Cult bandmates, or alone in the studio, Scott West’s canvasses literally drip with color. West, a graduate of Minneapolis College of Art and Design, quit his job as a creative director earlier this year to focus on painting and touring with the band. 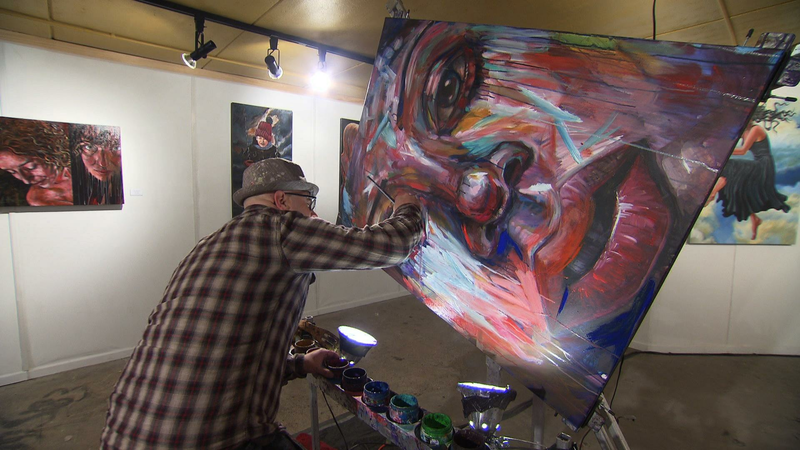 On stage, he produces paintings during a roughly forty-five minute set in which he allows the music and audience to influence his works, which are sold after each Cloud Cult show. Though not set to music, his works in the studio embody the energy from live shows and the themes that run through the music. His recent show at the Tarnish and Gold gallery debuted thirty paintings under one title, Still. 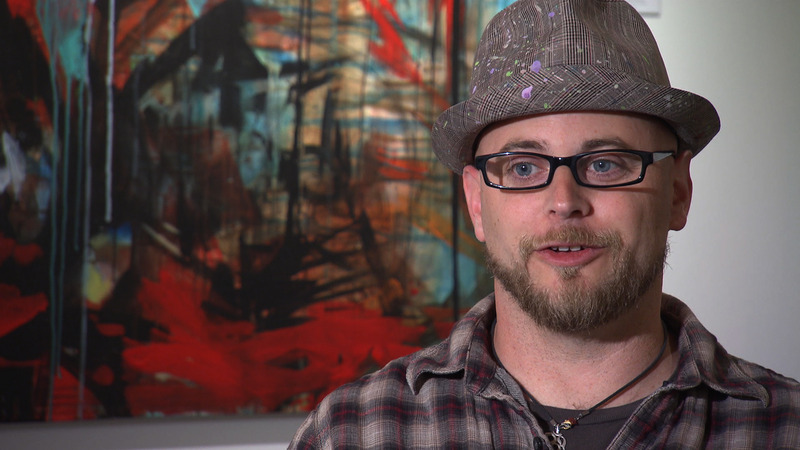 Scott West of Cloud Cult and his paintings that drip with color.